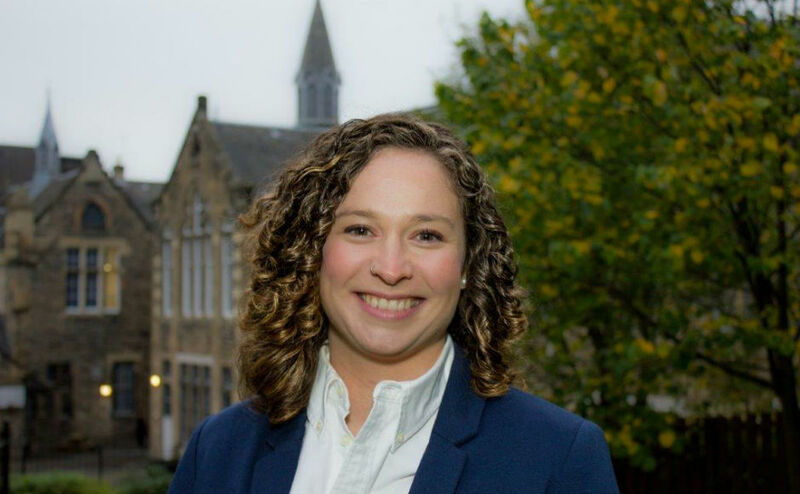 A former hospital chaplain has moved 4,500 miles away from her home in the United States to take up a new role as the Kirk's newest minster in Glasgow. 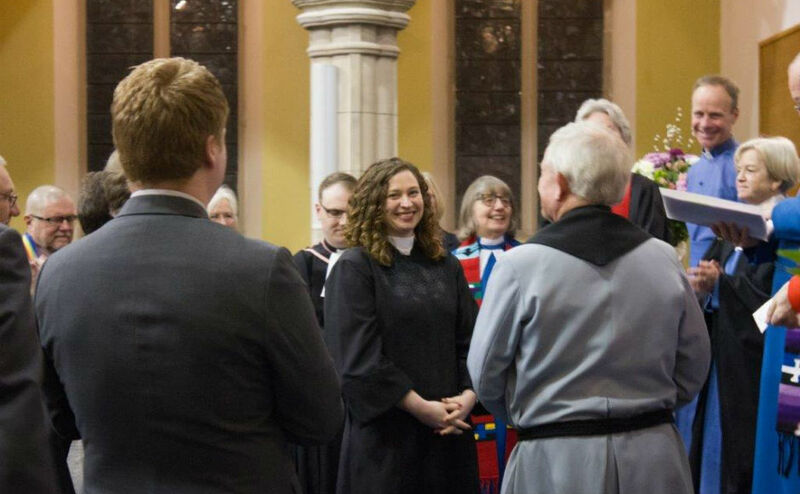 Rev Tara Granados was ordained and inducted into Ibrox Parish Church in the south-west of the city last Thursday. After completing her studies at Princeton Theological Seminary in New Jersey, the Texan spent a year as a chaplain in a hospital before deciding with her husband to "travel outside my comfort zone." With her husband, Ramon, a former member of the US Airforce, Ms Granados began looking for a role abroad and was delighted to find a vacancy at the 19th century church, which is close to Rangers Football Club. "l've leaned towards ministry all my life - it's always been in my fabric," she said. "When I was applying I was thinking 'no one else look at this church'. "I'm so lucky to have been accepted for ministry at Ibrox Parish Church." 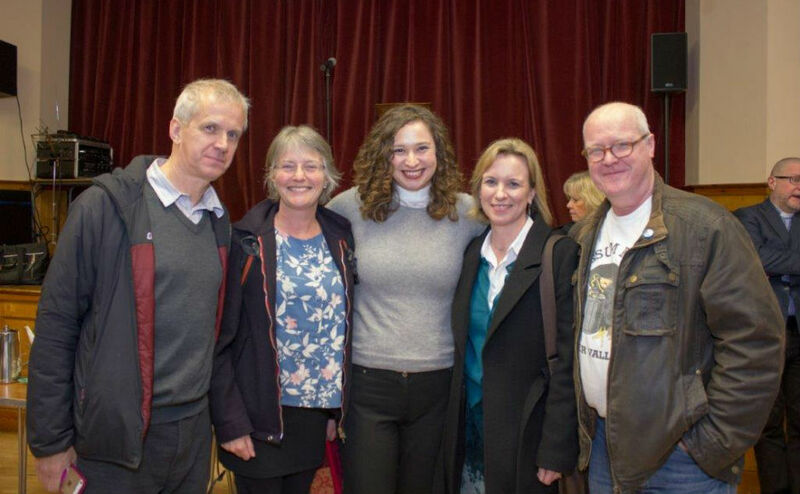 One of the reasons why she felt called to the church is the close ties with Richmond's Hope, a charity which supports young people experiencing grief. Whilst working in the hospital, Ms Granados, who was born in Dallas, would sometimes comfort children when a loved one passed away, and also experienced the loss of her own mother when she was young. "I think it's important to be able to work through your grief when you're young", she said. "The other reason is the Metropolitan Community Church, which is a LGBTQI church and I'm really looking forward to working with them." Previously Ms Granados spent a year in Groomsport Presbyterian Church, Northern Ireland, and cites travel as one of her interests. She met her husband on a snowboarding holiday in California when she fell over next to him in the snow. A lifelong fan of the American football team the Ohio State Buckeyes, Ms Granados says she knows "what it's like to be passionate about a team" - appropriate for a church based close to a football stadium. A probationary period was spent at Edinburgh's Portobello and Joppa Parish Church under Rev Stewart Weaver, who also hails from the US and 'preached in' Ms Granados last Sunday. Asked how her experience of chaplaincy in Texas would inform her ministry, she said: "It's invaluable to me - it's informed how I go about my ministry. "I've learnt the power of listening over trying to fix something, which sometimes you can't do. "A lot of the time people just need someone to listen to them. "The loss of a child or parent is something you have to work through. "You have to listen to them and walk with them." Ms Granados jokes that by going into ministry she is "following in the footsteps" of her Dad, who was a Presbyterian Lay Minister at the Presbyterian Church (USA) in her home state. "I grew up in the church", she explains. "My parents had left the church when they were younger, then my Mum got sick. "They said the church would be there for us. "My father still feels like that church is his home church even though we've moved away because of how they loved us through that difficult time." Ms Granados will take her first service at Ibrox Parish Church on Sunday at 11am.